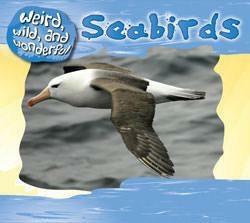 Penguins, gulls, and puffins are all seabirds. Seabirds spend much of their time in the water. Some are great at fishing. Others steal their food. Some seabirds fly over water searching for fish. Others can't fly at all. This colorful and fun book looks at how these weird, wild, and wonderful birds survive on land and at sea.